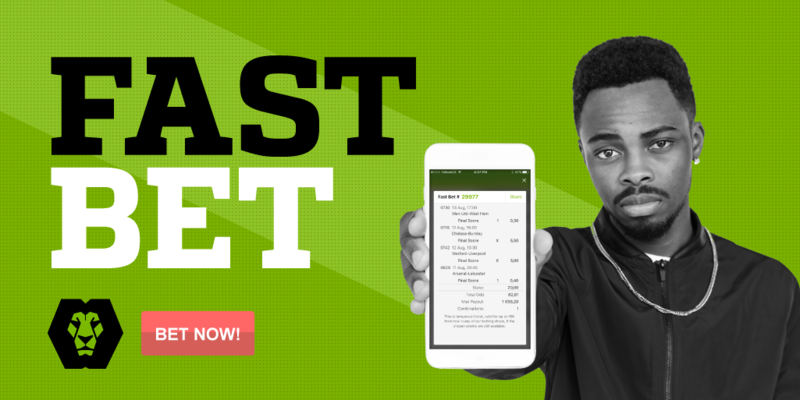 Fast Bet is an exciting new betting feature where you can create a bet on your PC or cell phone before going to the betting shop. You no longer have to look at fixtures or sit in store to create your bet. No more standing in lines, it is that quick and easy! 1. Go to our website www.playabets.co.za and make sure that you are NOT logged into a betting account. 2. Start selecting your events / teams by adding them to the betslip. 3. Once all your selections have been made, select the desired amount to stake (this can be changed when you are at the betting shop). 4. Next, click on Fast Bet at the bottom of the betting slip. 5. A ticket will pop up showing your bet with a Fast Bet Code. Take this Fast Bet Code to a cashier at any betting shop. The cashier will type the code in and your bet will be placed. 1. Fast Bet codes are valid for 48 hours. 3. Valid prices on the ticket are those at the time of accepting the ticket at the betting shop, not at the moment of creating your Fast Bet. 4. Your bet is only valid once a cashier gives you a ticket at the Betting Shop.